My current research focuses on stimulating the human senses in making virtual experiences more realistic. I am also interested in the topic of effective interaction techniques in immersive virtual environments. I am director of the Human Interaction in Virtual Environments (HIVE) Lab, where we are focusing on the use of multi-sensory feedback for various applications in virtual environments, simulation, and real environments. I received my Doctor of Science in Computer Science in May, 1999, from the Department of Computer Science at The George Washington University. 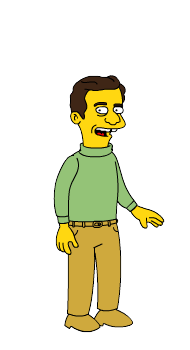 I then joined the same department, and was an Assistant Professor from July 1999 until July 2005. After that I moved to the Department of Computer Science at Worcester Polytechnic Institute. In addition to Computer Science, I am a faculty in the Interactive Media & Game Development program. Here are some of my publications. In the summer of 2012, I am working at the Interactive Media Design Lab"> at the Nara Institute of Scisnce and Technology (NAIST) in Nara, Japan. For the 2011-2012 academic year, I was a Visiting Erskine Fellow at the Human Interface Technology Lab (HITLabNZ), at the University of Canterbury, in Christchurch, New Zealand. While at the HITLabNZ, I focused on mobile Augmented Reality (AR) applications using the Android platform. For the summers of 2008-2010, I was a Visiting Researcher at Osaka University. In summer 2008, I received a fellowship from the Japan Society for the Promotion of Science (JSPS) to work with Prof. Yoshifumi Kitamura in the Kishino Lab, where we studied Fit Gaming. In the summers of 2009 and 2010, I worked at the Takemura Lab on various topics, including Faculty Development and course redesign. 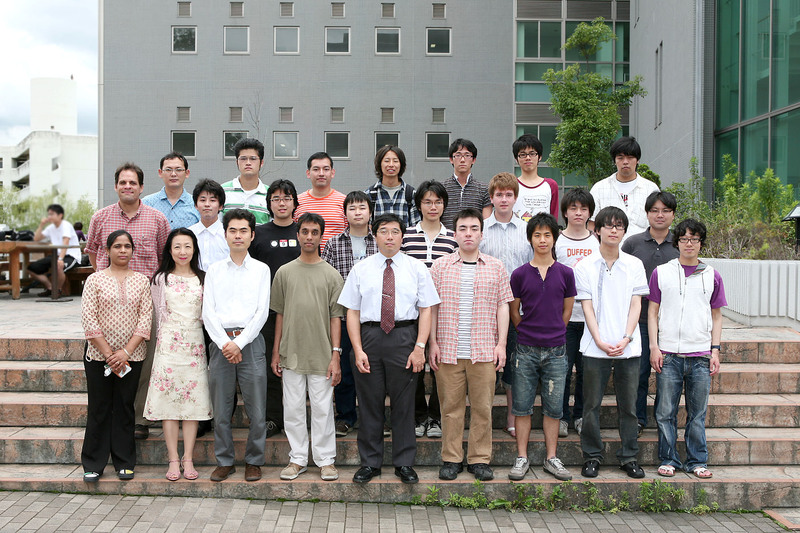 Here is a picture of the Takemura Lab members (and me) from summer 2009. Click to enlarge. That's Takemura-sensei front and center. I was fortunate to have been able to spend the summers of 2002 through 2006 at ATR International in Kyoto, Japan as a Visiting Researcher, most recently in the Knowledge Science Lab, Knowledge Input & Output Group, working with Dr. Haruo Noma..
You can also see a movie of the MRI images of my head they collected in the summer of 2004 (14.2 MB). 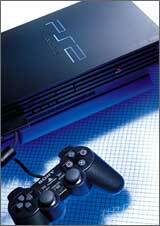 I have compiled links to interesting I/O devices for the PlayStation/PlayStation2 console. Here are some deadlines for paper submissions. In the summer of 1999, I worked at the Naval Research Lab in the HCI Lab. I conducted a survey of different VR softare and hardware available at the time. 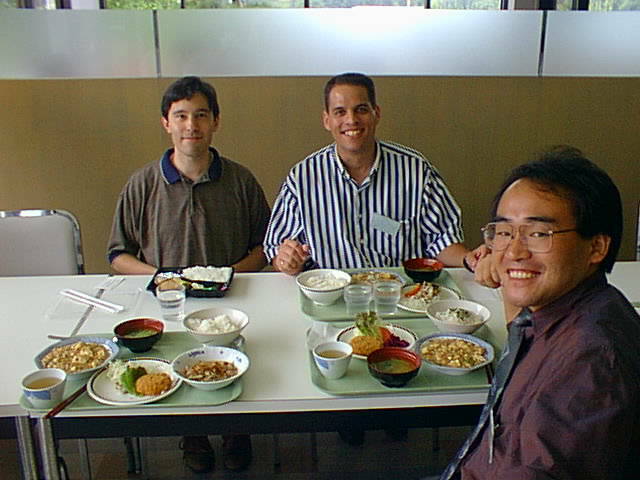 In the summer of 1997, I took part in the NSF Summer Institute in Japan Program. I worked in the National Institute of Bioscience and Human-Technology in Tsukuba, Japan, under Dr. Yukio Fukui. Here is a picture of a lab visit I made to NASDA, the Japanese counterpart to NASA. In the Spring of 1997, I completed an animation called "The Musicbox". I have written a front-end to BMRT. It is called RenderWrapper, and will hopefully make rendering with the BMRT toolset a bit easier. A friend sent me the link to a useful site for converting between file types. I've been making a collection of Virtual Environment Links on the Web. Let me know if you find one I should add. I've also found an invaluable site on Advice on Research and Writing. I've been interested in simple Electrical Engineering circuit design, and found a great primer by Paul H. Dietz, called "A Pragmatic Introduction to the Art of Electrical Engineering." (682 KB) There is a parts list that goes along with it. Here is a site that talks more about the Stamp microprocessor. This is a good technical report search place. I took part in the Global Multimedia Challenge, as part of the Youth Skills Olympics, in Lyon, France. I was one of four members of the team representing the United States. Five other countries competed in the challenge sponsored by Dusseldorp Skills Forum and the Workskill Australia Foundation. I designed a logo for the GW Graphics Group for the annual T-Shirt Design Compettition at the SIGGRAPH conference.